Providing you the best range of Honeywell Electronic Sensors such as Speed Sensor, Pressure Sensor, Oxygen Sensor, Magnetic Sensor, Infrared Sensor, Humidity Sensors and many more items with effective & timely delivery. 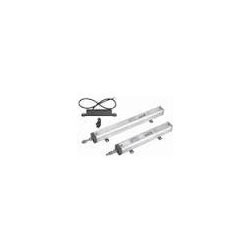 We are offering Hall Sensor. Round and round the globe, it's Honeywell. Our non-contacting approach to Hall-effect rotary position applications provides longer-life solutions that excel in harsh environments. Honeywell S&C seals the IC together with conditioning and protection circuitry and two permanent magnets in a rugged package. We are offering Board Mount Pressure Sensor.The pressure is on. No matter the need, Honeywell Sensing and Control has the microstructure, pressure sensor solution.You'll find our components performing in potential applications including dialysis equipment, blood analysis, centrofusion and oxygen and nitrogen gas distribution, HVAC devices, data storage, process controls, industrial machinery, pumps, and robotics. Honeywell S&C is always working harder, no matter the situation or the pressure. 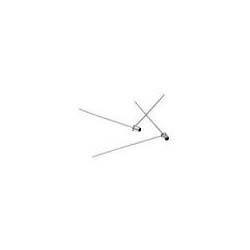 We offer Displacement and Position Sensor. Precision, down the line. Honeywell Sensing and Control (S&C) Linear and Distance Position Sensors consist of Linear Potentiometric and Ultrasonic products. 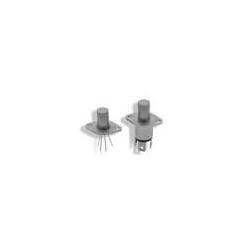 We are offering Infrared Sensor. Optoelectronics integrates optical principles and semi-conductor electronics — the inter-conversion of electricity to light. In electronic systems where feedback and control systems are common, these infrared sensors are often critical. We offer a wide range of Oxygen Sensor.Breathe easier, with unparalleled reliability. Honeywell Sensing and Control (S&C) oxygen sensors offers a comprehensive range of oxygen sensors unmatched in the industry. Our sensors are engineered to perform better and last longer. Our design employs two Zirconium Dioxide (ZrO2) discs with a small, hermetically sealed chamber between each disc. ZrO2 technology provides oxygen measurement without reference gas, providing enhanced accuracy and durability. Honeywell's oxygen sensors are best suited for potential applications such as boiler combustion controls and aircraft oxygen generation systems. 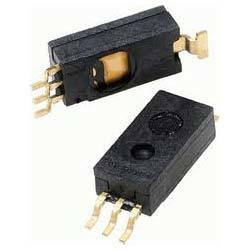 We are offering a wide range of Force Sensor. Leadership, in full force. Whether it's critical applications such as IV drips or dialysis, or serious engineering like robotic end-effectors, Honeywell offers a broad line of force sensor options. Honeywell force sensors also deliver built-in stability and flexibility, to provide enhanced performance in most applications. We are offering Current Sensor. Past, future, and current excellence. Honeywell offers a wide variety of current sensors to monitor alternating (ac) or direct (dc) current. From digital output detectors sensing a few hundred milliamps to linear sensors monitoring over one thousand amps, our comprehensive line provides superior performance at a reduced cost. We offer Humidity Sensors. Performance and reliability. At Honeywell Sensing and Control (S&C), each sensor is designed to provide enhanced sensitivity, response time, stability and reliability .Although humidity products are typically standardized and platform-based, they deliver superior performance right out of the box. Sensor construction consists of a planar capacitor with a second polymer layer to protect against dirt, dust, oils, and other hazards. Laser trimmed for stable, low drift performance. Printed circuit board or surface mount terminations provide application flexibility. We offer Speed Sensor.Honeywell offers electronic speed and position sensors designed for enhanced reliability and an extended life. We use multiple technologies to detect a change in magnetic field and create an electronic signal for control system interface. These technologies offer the ability to detect speed, direction, or position of a moving ferrous metal or magnetic target. Sensing is accomplished without contacting the target, and there are no moving parts. This eliminates mechanical wear of the sensor or target. 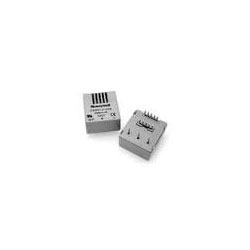 Honeywell offers a comprehensive line-up of Hall-effect, magnetoresistive, and variable reluctance sensors which provide electrical compatibility to most control system interfaces. We also offer a variety of sensor package types designed to enable mounting flexibility and wire harness interface compatibility. We are offering Magnetic Sensor. You know us as a leader. In 1968, we revolutionized the industry with the first solid-state keyboard combining Hall-effect sensing and associated electronics in a single circuit. These high-speed, extended life sensors are often directly compatible with other electronic circuits, responding to the presence or the interruption of a magnetic field by producing a proportional output. 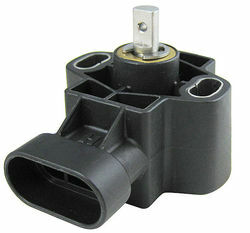 We are offering Air Flow Sensor. All airflow sensors operate on heat transfer — flow and differential pressure. Silicon chip design is created from thin-film, thermally isolated bridge structure, containing both heater and temperature sensing elements. This provides rapid response to the air or gas flow and amount and direction, delivering a proportional output voltage. Amplified versions provide an enhanced output signal and less external circuitry, while unamplified versions allow additional external circuit options. 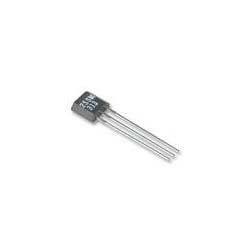 Contains thin-film thermally isolated bridge with heater and temperature sensing elements. Bridge promotes sensitivity and fast response to flow.